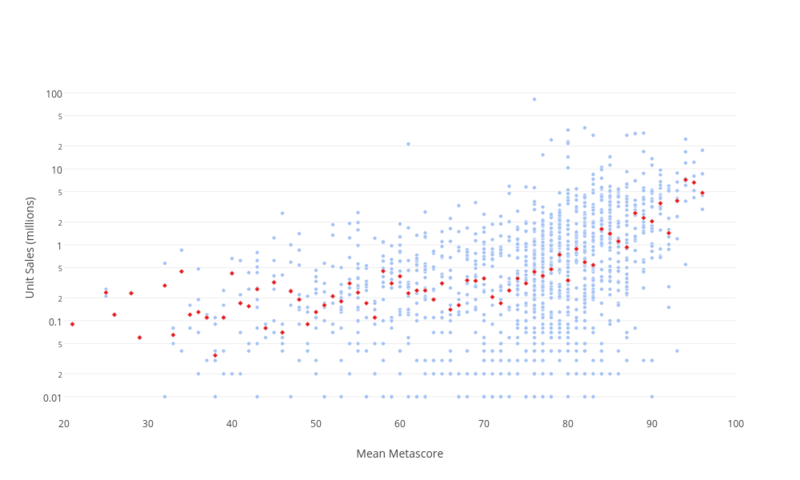 Jeffkcheng's interactive graph and data of "Unit Sales (millions) vs Mean Metascore" is a scatter chart, showing stuff vs median; with Mean Metascore in the x-axis and Unit Sales (millions) in the y-axis.. The x-axis shows values from 20 to 100. The y-axis shows values from 0 to 0.